The term cyber warfare refers to means and methods of warfare that rely on information technology and are used in situations of armed conflict. Cyber operations may be either offensive or defensive. IHL only applies to cyber operations that occur during – or that themselves trigger – an armed conflict. Given the nature of cyber warfare, there is some debate as to whether all cyber attacks trigger the applicability of IHL and – a distinct but related question – whether they constitute “attacks” for the purposes of IHL. Is it necessary, for example, for cyber attacks to result in physical consequences such as the destruction of objects or injury or death of persons? Some argue that acts resulting in mere destruction of data, such as, for instance, interference with information systems, should also be considered as triggering the applicability of IHL and amounting to attacks at least if they have a considerable effect upon the targeted party (an example could be an attack that disabled nationwide banking systems). 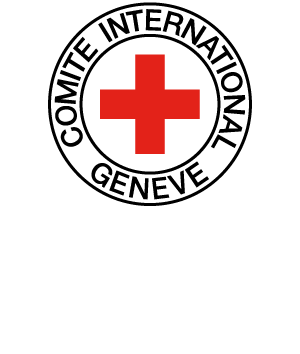 Cyber attacks that may be regarded as “attacks” within the meaning of IHL must comply with the principles of distinction, proportionality and precautions. BROWN Davis, “A Proposal for an International Convention to Regulate the Use of Information Systems in Armed Conflict”, in Harvard International Law Journal, Vol. 47, No. 1, 2006, pp. 179-221. KELSEY Jeffrey T. G., “Hacking Into International Humanitarian Law: the Principles of Distinction and Neutrality in the Age of Cyber Warfare, Michigan Law Review, Vol. 106, No. 7, May 2008, pp. 1427-1451. PALOJARVI Pia, A Battle in Bits and Bytes: Computer Network Attacks and the Law of Armed Conflict, Helsinki, The Erik Castrén Institute of International Law and Human Rights, 2009, 186 pp. SCHMITT Michael N., War, Technology, and International Humanitarian Law, Cambridge, Program on Humanitarian Policy and Conflict Research, 2005, 62 pp. RID Thomas & HECKER Marc, War 2.0: Irregular Warfare in the Information Age, Westport, London, Praeger Security International, 2009, 280 pp. SCHAAP Arie J., “Cyber Warfare Operations: Development and Use under International Law”, in The Air Force Law Review, Vol. 64, 2009, pp. 121-173. STEVENS Sharon R., “Internet War Crimes Tribunals and Security in an Interconnected World”, in Transnational Law and Contemporary Problems, Vol. 18, Issue 3, 2009, pp. 657-720. TODD Graham H., “Armed Attack in Cyberspace: Deterring Asymmetric Warfare with an Asymmetric Definition”, in The Air Force Law Review, Vol. 64, 2009, pp. 65-102.